Volkswagen's U.S. boss blamed unnamed engineers at the company for the deceptive software that cheated emissions testing, and denied that anyone in senior management made a decision to break the law. "This was not a corporate decision. To my best knowledge today, this was a couple of software engineers who put this in for whatever reason," said Michael Horn in response to questions from Rep. Joe Barton during a Congressional committee on the scandal. Barton expressed disbelief with Horn's answer, saying he couldn't believe that no one in management was aware of such an important decision considering "how well run as VW has always been." "I agree, it's very hard to believe," Horn said. The German automaker had already admitted that its diesel cars were programmed to limit emissions when they were tested. But on the road in the real world they would dump up to 40 times the allowed level of pollutants such as nitrogen oxide, or NOx, into the air. NOx is a major source of smog. "These events are deeply troubling," Horn said in apologizing during opening remarks. "I did not think that something like this was possible at the Volkswagen Group. We have broken the trust of our customers, dealerships, and employees, as well as the public and regulators." Horn said that three VW employees have been suspended as part of an internal investigation, though he said he couldn't reveal their names due to German law. He insisted that he and other management were not aware of the deceptive software until about Sept. 3 of this year, two weeks before the EPA announced the action against VW. He said he couldn't answer any further questions about who was responsible, or how widely known the deception was within the company, until that investigation is concluded. Horn and VW came under harsh criticism from both sides of the aisle. Barton, a Texas Republican, said that he and other conservatives have had questions about the emission standards that VW violated. But he added, "As a conservative I believe if it's the law it should be enforced. Corporations should honor those laws. I don't know what the penalties should be. But it should be more than a slap on the wrist." 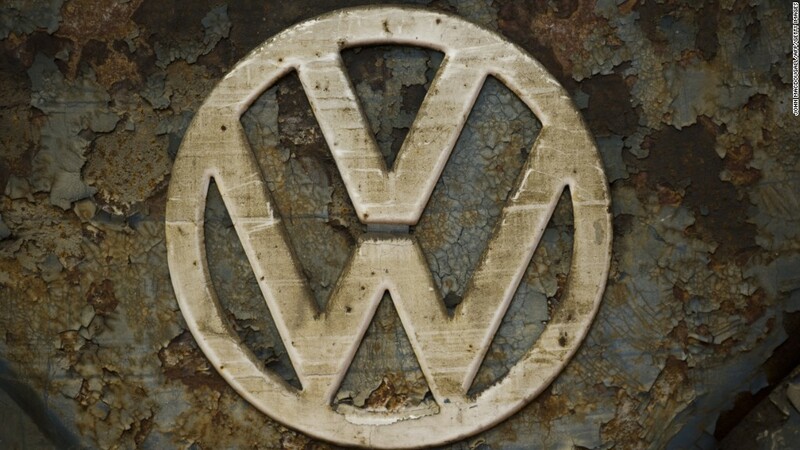 Rep. Jan Schakowsky, an Illinois Democrat, said that Volkswagen should buy back the diesel cars at the original purchase price. "If they want it, every VW clean diesel owner should be able to get their money back," she said. Horn said the company is looking at how to compensate owners but that its plans are to fix the cars, not repurchase them. Schakowsky said assurances from the company that the cars will eventually be fixed, perhaps by the end of next year, are not enough. "Volkswagen's word isn't worth a dime," she said. "To find a company that deliberately cheated asking customers for patience, is not acceptable." Following Schakowsky's criticism of VW, Rep. Chris Collins, a New York Republican, echoed her remarks. "VW is trying to get the United States of America to believe this is the work of a couple of rogue engineers," he said, "and I categorically reject that." Many members of the House committee holding the hearing said they'd owned a VW at some point in their lives. Morgan Griffith, a Virginia Republican, said he owns one of the diesel cars included in the scandal. "I'm your Volkswagen driver who always trusted your company, and I'm very disappointed," he said.